A true piece of American Iron, the HD XR750 continues to excel at racetracks around the country. We have seen a few of these come up on CSBFS, and they always seem to generate good interest. 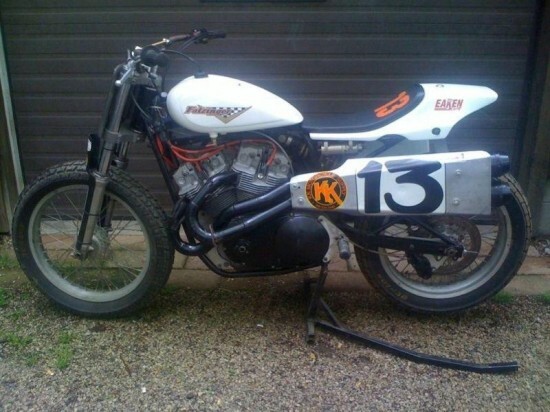 For previous posts, you can check out this XR750 here, or this one here. The traditional HD v-twin – with more than a few modifications – has been the staple of bull rings and half miles for years and years. And while recently there has been an influx of alternate machinery (Kawasaki, Yamaha, Ducati), none have dominated in the manner of the XR750. 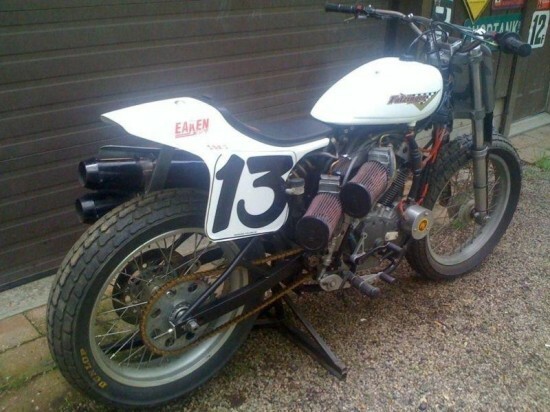 If you want to go racing or if you want to collect racing machinery, an XR750 should be high on your list. 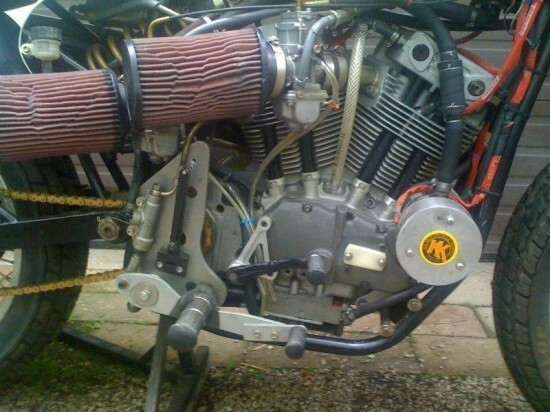 Up for sale is a great Harley Davidson XR-750. Has Kosman triple clamps, CBR600 front forks, Jemco pipes. Comes with starter. Short rod engine, just rebuilt by Skip Eaken. Was rebuilt at the end of 2009 and hasn’t been raced since. Bascally a fresh bike ready to go. I think the cases are from the late 90’s early 2000’s. Was raced by Dan Gedeon, and put into several main events. Located in Ohio. Additionally, the frame is a C&J with a Penske shock. This auction is going on now, with the current bid up to $12,000 with reserve still in place. Useable XR750s have been fetching in the neighborhood of $20k in recent months, so there is still much to play for here. This bike, with racing history and some pretty stout componentry is definitely under valued at the current bid price. For your chance to check out this piece of classic Americana – or to simply request updated pictures and details – click on the link and jump over to the auction. Good Luck! !